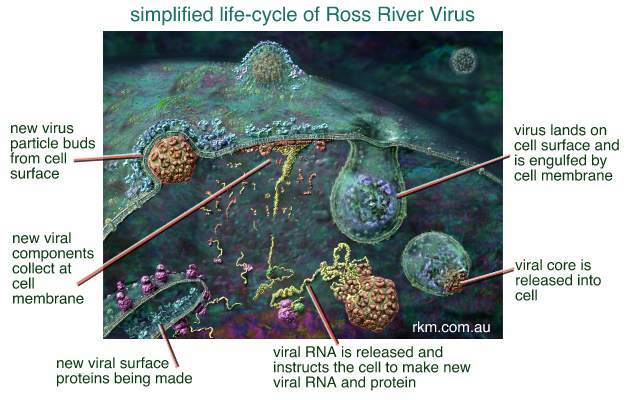 Ross River Virus (RRV) life cycle or replication diagram. Ross River Virus is a mosquito borne virus that causes Ross River Fever (epidemic polyarthritis) which may cause pain in the joints. It is a problem in some parts of Australia. With many thanks to Dr Ron Weir of the Australian National University for his help and advice during the creation of this image.